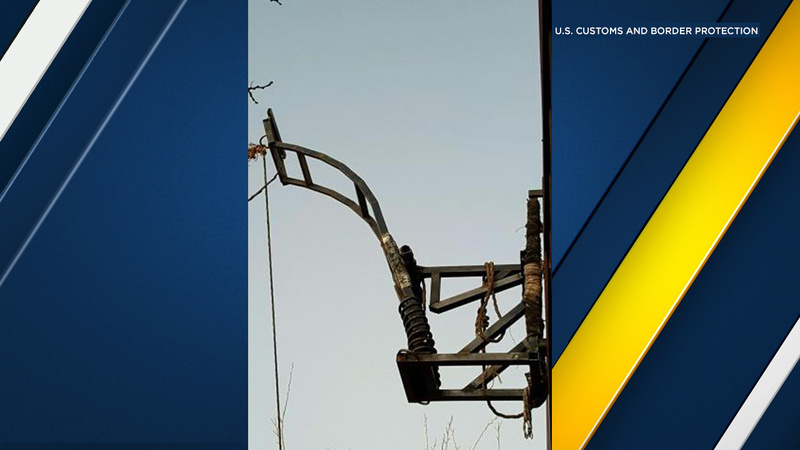 U.S. Customs and Border Protection said a catapult used to launch drugs over the United States-Mexico border near Douglas, Ariz., was found on Friday, Feb. 10, 2017. TUCSON, Ariz. -- A border fence in Arizona apparently didn't deter drug smugglers on the Mexico side. Instead, they just installed a catapult to fling bundles of marijuana over the fence and into the United States, officials say. Border Patrol agents in the area of the Douglas Port of Entry, southeast of Tucson, on Feb. 10 noticed a few people on the south side of the fence who ran away as the agents approached. As they got closer, the agents discovered a catapult set up and attached to the Mexico side of the border fence. They scoured the area and found two bundles that contained a combined 47 pounds of marijuana. The U.S. Border Patrol agents dismantled the catapult system and it was seized by Mexican officials. The U.S. agents seized the marijuana.